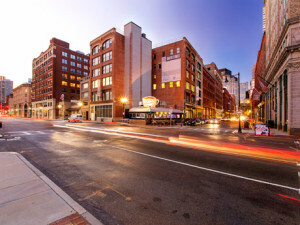 BOSTON — ClearRock Properties and Juster Properties have partnered to acquire an office building located at 201-207 South St. in downtown Boston’s Leather District. Meritage Properties sold the six-story property for $27.5 million. Built in 1909, the 73,689-square-foot property was recently revitalized with a full façade restoration; renovation of the entry, lobby, elevator cabs and common areas; and the conversion of a 4,000-square-foot storage area into quality office space. Current tenants include Credo, Publisher’s Clearing House, BlueConic and Evidox. Under the new ownership, JLL will continue as leasing agent and Lincoln Property Co. will continue as property manager. Jessica Hughes of JLL represented the seller in the transaction.